This is a Shabar Mantra and the procedure of chanting it is uncomplicated and it has no big Karmakand, Anushtan or Siddhi procedures and hence, it is as mentioned above very easy to practice. The Sadhak has to chant this Mantra 324 daily times or 108 times in the evening by lightning a lamp and sitting on a Asan. Apart from this there are no others rules or restrictions of any kind for practicing this Shabar Vashikaran Mantra Sadhana. A very easy and powerful Jwala Mai Mantra for happiness and peace has been given below, it can be practiced by those people who are trying to find peace and harmony in their lives. The Mantra chanting can be started on any day and the more you chant the better will be the results. The Sadhak has to use a Red colored Asan and face the north direction direction, while chanting the Mantra. 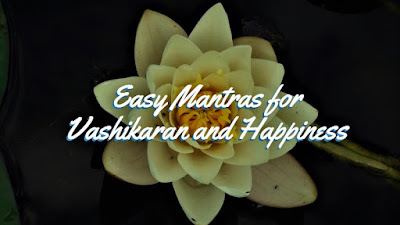 Note- Rare and unique Mantras for getting peace, happiness, harmony and bliss and for the purpose of enchantment and attraction of any wished for person or all persons can be seen in the sections on - Attraction Mantras and various other sections of this site. How many times mantra will siddh? guru swami sir..in the jwala mai mantra for peace after the words jalte path, in bracket you have included number 8.please sir can u please explain what it means or how to say the entire mantra.thank you sir. Do you have any "Mantra" for success in stock market?